In a significant step for VR eSports, a new global arcade league is forming. The pilot season is getting a major boost from corporate sponsors HP, Inc and HTC esports. Official competitions will take place around the world in cities with VR arcades through the rest of 2018 and beyond. VR eSports have long been the realm of science fiction, but the reality is that VR eSports are happening today and gaining momentum. The introduction of the HTC Vive two years ago and sophisticated controllers represented a tectonic shift – it moved players from behind computer screens, into the center of their living rooms and VR arcades worldwide. 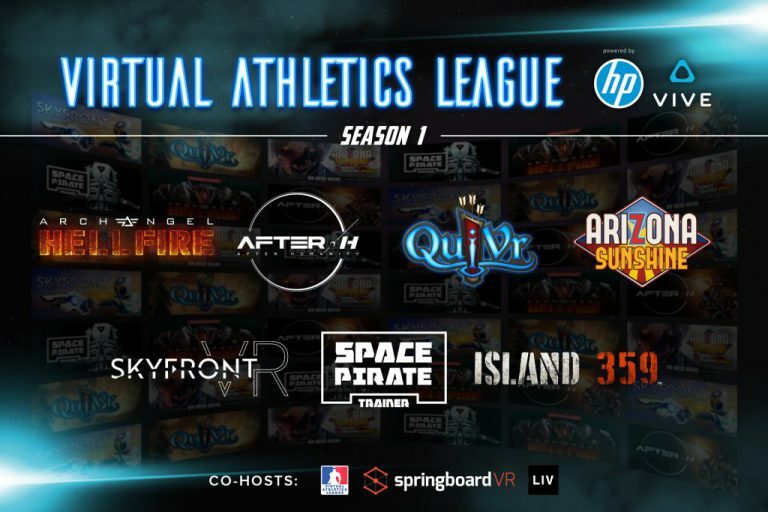 The Virtual Athletics League started two years ago as a concept from Virtualities, a VR arcade in Salt Lake City, Utah. And it is placing a high priority on arcade vs. arcade gameplay, with a core group of elite VR arcades participating in more team-based titles that are VR eSports ready. A global AFTER-H tournament is slated to take place November 19th-December 1st.